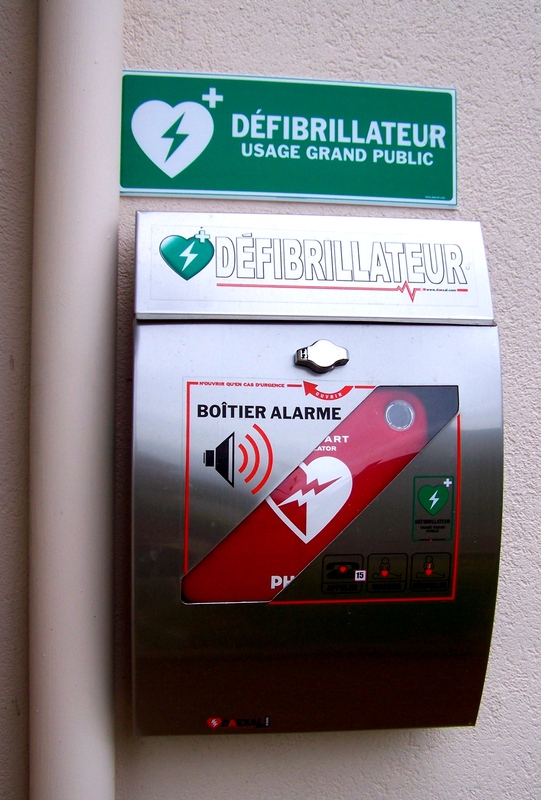 On the front wall of the Mairie, to the right of the entrance, there is an automatic defibrillator. An alarm protects against vandalism. Several officials in Champsac are able to disable the alarm. When can it be used ? If anyone takes ill in a public place. It should be noted that the defibrillator should be placed within 5 minutes of cardiac arrest. It is only effective in cases of ventricular fibrillation.